We are excited to announce that our team has grown! In March, Luke Buescher joined our team. His primary role is to help start the second school of disciplehsip this July! He is also taking an active role providing discipleship for several young men in town. He is a talented worship leader and has a passion for teaching the Word.We also recently welcomed the Harris family to the Terebinth team. Matt and Noelle have 3 children: Emma, Noelle, and Noah. Noah was born less than a month after the Harris family arrived via emergency c-section and we are happy to report mom and baby are both doing great. The Harris family will live in Adak. 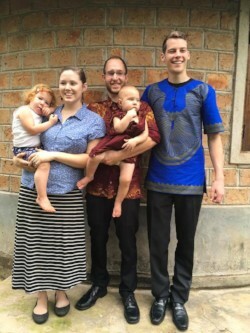 Matt will be assisting with teaching in the Terebinth school, and will also be taking a big role in learning the farming side of BAM Enterprises. 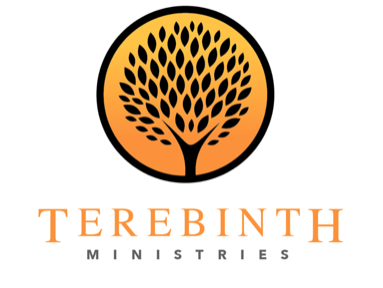 The Terebinth School has been going great. Since the retreat in February, we had a special pastor’s conference in March. 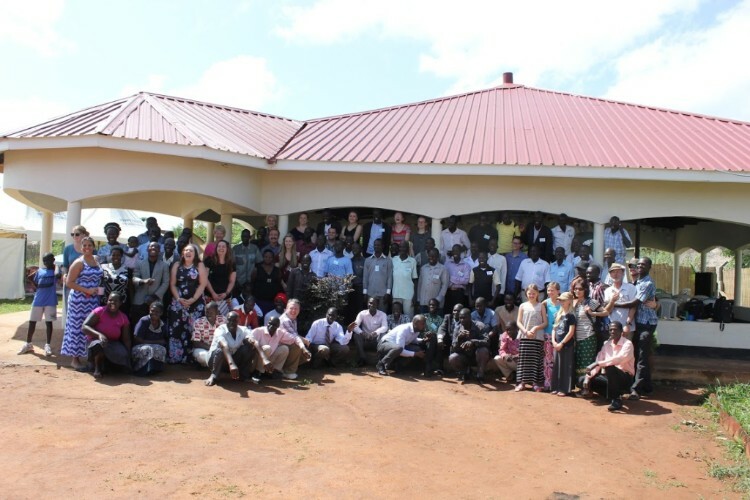 Our students were joined by around 50 other pastors and leaders in Uganda for a study of 1&2 Timothy and Titus. We had guest teachers from Rocky Mountain Calvary and Calvary Chapel Cherry Creek in Colorado. It was a very blessed time exploring the role of pastors. In April the students studied Ezekiel indepth. It was a long, tough week but they did great! In May, we finished the major prophets by studying Daniel. Some of the students expressed their excitement over understanding the end times better after studying Daniel. They said they had been extremely confused on end times up to that point. That is the joy of interpreting Scripture with Scripture, one piece explains another!One very exciting piece which began in March is the addition of student workbooks. Each month our TSD team is working hard to put together workbooks for the students to have. It gives them a spot for notes, questions to answer, and is a great resource to take back to their churches!With the addition of Matt and Luke, the school starting in July is going to be a blast. They have worked with the rest of the team to create books for the new class, starting in Genesis. The new class will be double the size of the current one with around 34 students admitted! We had around 50 applicants for this round of student selection. It is exciting to see so much passion to learn the Word. We even had one person from DRC reach out to learn about coming to the school! Keep the TSD team in prayer as the new school gets started. It will be incredibly busy putting on two schools at once. The visiting team and pastors at the pastor’s conference in March! The Dream Center Clinic is full to bursting with pregnant mommas! Since the voucher plus program started, we are seeing 5-9 expecting mommas a day for their prenatal care. Many women who would have delivered at home are coming to a skilled facility to have their babies. Last month we even had a baby born with the umbilical cord wrapped around his neck. Our midwife, Brenda, immediately recognized the problem and handled it masterfully. 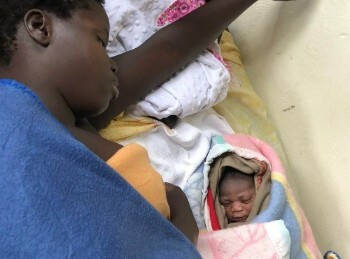 She and Kristin, the clinical administrator, managed to resucusitate the baby and get him breathing. Mom and baby are both doing great! We are very proud of our clinical staff and their care for the lives of their patients! We are also very excited about the special training opportunities we have had recently! 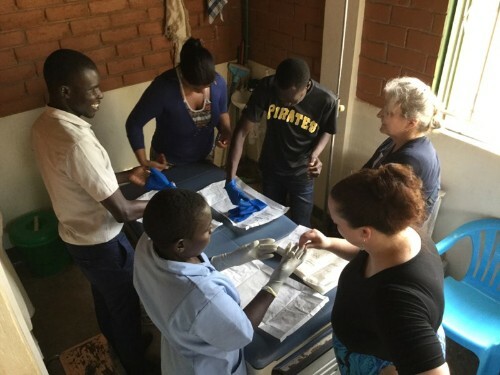 In March, several of the visiting team did a training on burn care, a very common need here in Uganda. In May, a visiting nurse from the US gave us a training on head to toe assessments, specifically relating to trauma and emergencies. We have been so blessed to partner with wonderful health care providers around the world! Please continue to pray with and for our clinical staff at Dream Center Uganda as they make the name of Jesus known through caring for the body. The baby and momma following the delivery where the cord was around baby’s neck. BAM Enterprises has continued to be the section of the ministry with the most changes. In recent months we have seen the chickens grow immensely. This is thanks in part to our new fodder system. 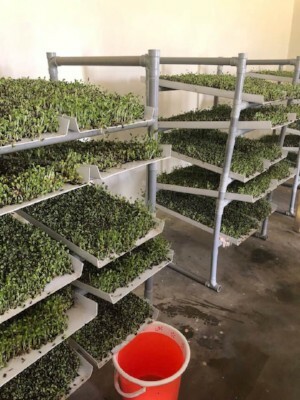 The fodder system grows sprouts which are incredibly full of nutrients and very good for you. The chickens LOVE the fodder and it is very healthy for them, as well as cutting down the cost of feeding them significantly! We are very thankful to Kirk and Siri who spent two weeks visiting us from the US to get the fodder system up and running. We have also added a new tilapia farm! The ponds were dug and the baby fish were added in May. We are eager to see how they grow and thrive! The beauty of BAM is that no system stand alone. The fodder grows from sunflower seeds, which feeds the chicken, who help feed the tilapia etc. We have also seen a lot of excitement about our mills. We began selling our sunflower oil, posho, rice, and more recently. Many in the community now prefer our products to the more expensive ones from further away. We have several interested shops who are looking into selling our products. BAM is taking a lot of work right now, and our staff are doing amazing at managing the farm, machines, animals, and business all at once. Please keep them in prayer as they put hard work into making this ministry self-sustaining! The new fodder system growing delicious sprouts for the chickens!